It's 2016 and we ought to stop associating Chinese restaurants with swaths of garish red and gold. As testimony to this shift towards elegant modernity, Wan Hao's recent refurbishment sees its transformation into a “House of a Chinese Scholar”. Inspired by the ideals “Qin” (zither, 琴), “Qi” (strategy board games 棋), “Shu” (calligraphy 書) and “Hua” (painting 畫), the 'house' is decked out in dramatic shades of black and gold. Wall-length calligraphy works line the interior, leading the eyes towards the beautiful booth seats, which resemble giant jewel boxes. Cuisine wise, one can expect classic Cantonese delicacies worthy of the luxurious setting. Each dish is created with much thought and deliberation, offering full expressions of the fine ingredients used. Is there anything more indulgent and nutritious than a bowl of stewed bird’s nest? 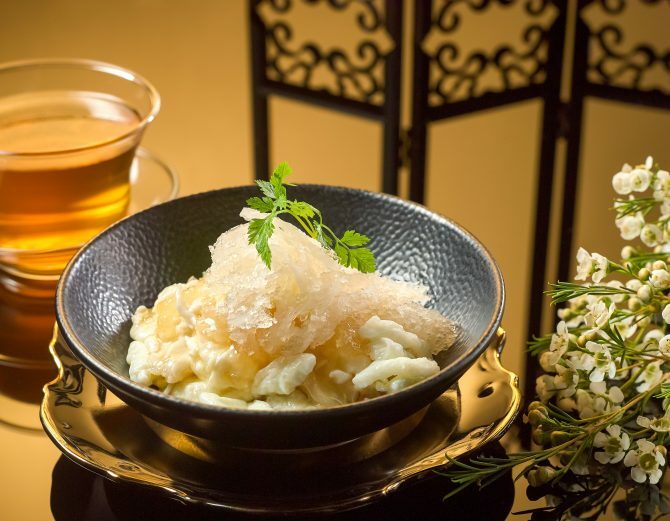 Wan Hao’s rendition is a generous portion of soft-as-clouds egg white served with bird’s nest. 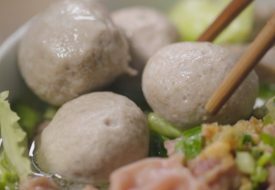 The dish comes with superior soup, brewed with Chinese ham, old chicken and pork loin, which you can choose to pour into the bowl or sip on the side. We recommend the latter, so that the aromatic and robust-tasting soup doesn’t overpower the delicate flavour of the bird’s nest.